You'll be £25.00 closer to your next £10.00 credit when you purchase The Golden Age of European Railways. What's this? One of the most important developments in European history, the railways helped create the social and economic fabric of the continent. In the 'Golden Age' of the railways, from the late nineteenth century to the early twentieth, there was no more exciting, exotic or desirable way to travel. As the major railway companies quickly became huge industrial powers in their own right, they began to influence the infrastructure of trade, industry, agriculture and settlement. In some countries the bulk of the railway network was centralised under state control, while in others corporate and personal fortunes were won and lost as railway fever spread far and wide. Crossing Stunning landscapes, linking the continent's greatest cities. And bringing natural wonders within the reach of ordinary people, the railways encouraged the growth of the tourism industry, which in turn spurred the development of dramatic poster art. All of these aspects of the early decades of European railway history are explored in this elegant, lavishly illustrated volume. The social, economic, environmental and technological challenges and achievements are all covered, together with highlights of the routes and the experiences of eager train passengers. 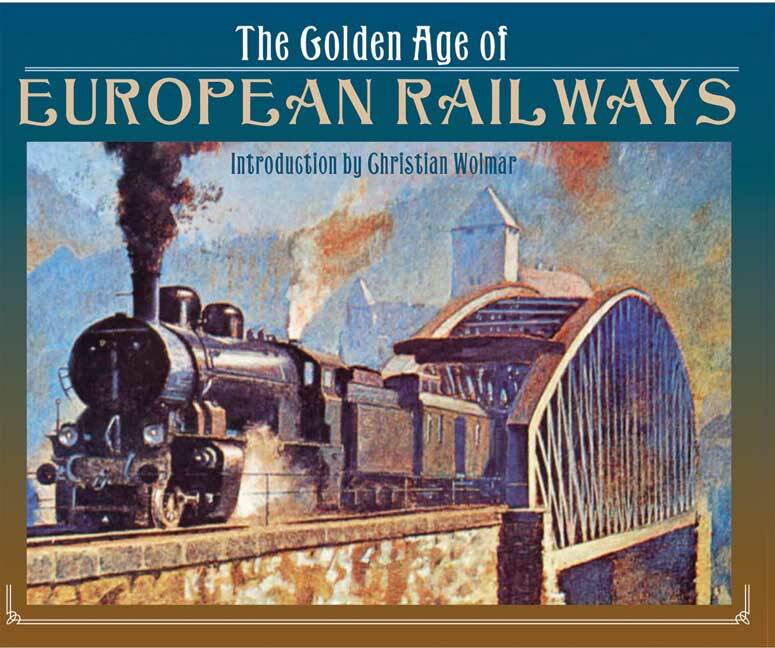 The Golden Age of European Railways contains more than three hundred contemporary illustrations. As well as route maps, schedules, technical appendices and the fascinating perspectives of it award-winning writers and acknowledged railway experts. Lavishly illustrated...the writing is fluid and a joy to read. Christian Wolmar is a writer and broadcaster specialising in transport. He has spent nearly all of his working life as a journalist, and was at The Independent from 1989 to 1997, mostly as transport correspondent. His history of Britains Railways, Fire and Steam, is widely acclaimed, and in 2009 he published Blood, Iron and Gold, about how railways tranformed the world. His book on the role of railways in war, Engines of War, was published in September 2010.